Traditional and delicious beigels at all hours of the day! Alfie and I had walked past Beigel Bake the Brick Lane Beigel bakery (it’s a mouthful…) tonnes of times before but had never been in. But we noticed there was always a large queue, so there must be something worth eating inside! After a night of drinks with friends (shout out Dean and Adam) we wandered the streets of Shoreditch until we found ourselves at Brick Lane. 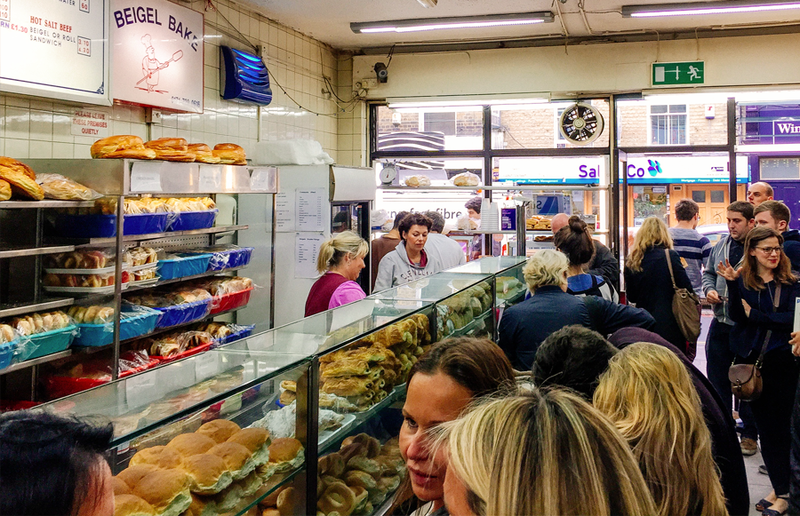 Beigel Bake first opened in 1974 and has been a regular stop for East Londoners thanks to its affordable bakes! I went for a salami and cheese combo (I have no idea if that is sacrilege but it tasted incredible) and Alfie chose their special salted beef beigel. It seems that the Salted Beef is a popular pick amongst their regular customers and it comes at no surprise; it is delectable! The deli also makes a beautiful array of cakes and sweet treats that will definitely tempt your taste buds. 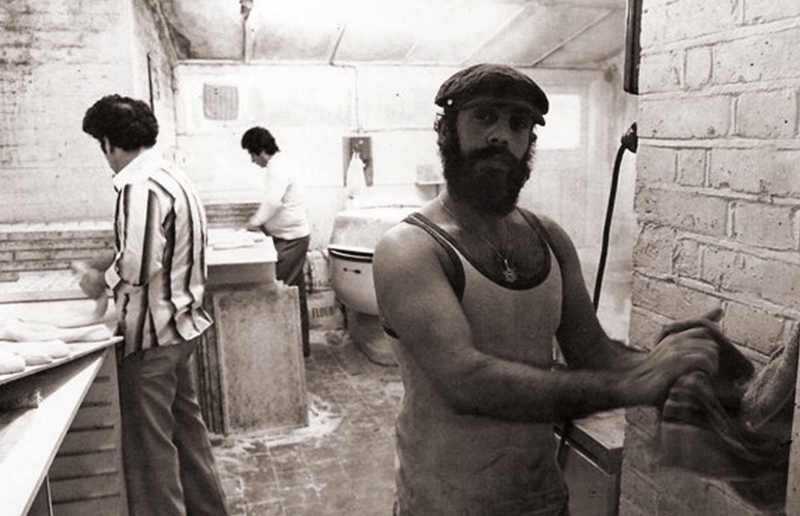 The great about Beigel Bake is that it is open 24 hours a day. So for anyone like me who starts to get hungry at around midnight, this is the perfect place for you to indulge and succumb to your cravings. But even better is the price, less than £4 for one of their salted beef beigels! This Brick Lane staple has been a stop for all good food seekers for years. After listening to what some of their regulars have said about the bakery; if you’re smart you’ll buy one to eat as soon as you’ve got it and one to have after, when you start missing the flavour.